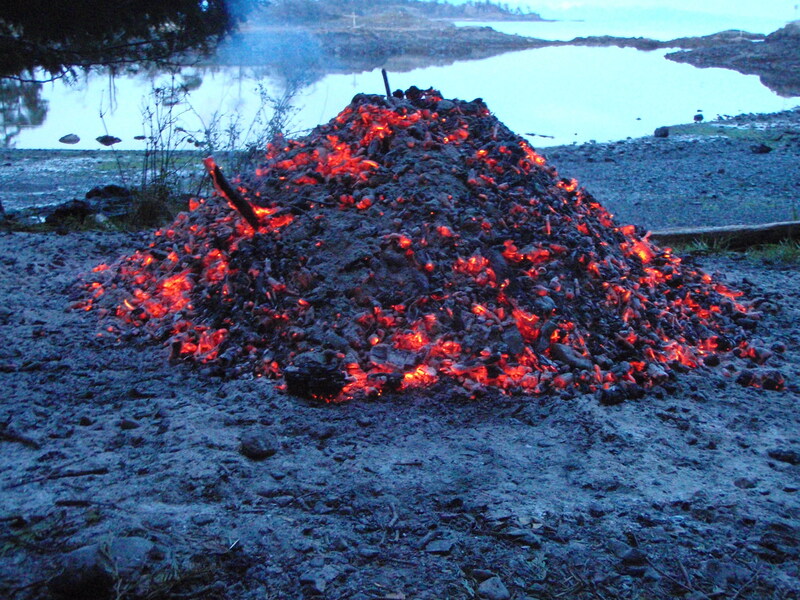 Heat: Imagine you are standing near this pile of coals. In congregations, heat is high anxiety, and constantly accumulating agitated energy. It creates an excessive alertness for threats and danger and offense, threats that are often seen by the “heated up” in small things that on calm days would mean little. Think of how quickly a small dry twig thrown on the heat in the picture above would flare up! Heat is observed and radiated in an increase in quick, reactionary, impulsive responses, also to small offenses. Heat-anxiety moves people into in black-and-white, all-or-nothing, fight or flight reactionary thinking if they were not already there. Other signs of heat can be noticed in inflammatory speech or the use of words that exaggerate or escalate, such as the use of: “Always,” “Never,” “Everyone,” “No One” and the like when more neutral words like “sometimes” would be sufficiently descriptive. This heating-up form of anxiety works a lot like the static electricity we used to build up in our bodies on the shag carpets of the 70’s. Shuffle shuffle shuffle on our stocking feet, and then touch someone’s skin and watch them jump! Anxiety like this builds and wants to multiply and spread. A person affected by it believes, mistakenly, that by sharing their anxiety (really spreading it to someone else) they find relief. This will expand in a congregation unless people know how to see it happening, remain immune to it and learn to defuse it or ground it out. If heat gets into the council room or Elders meeting consistently, operation of the church will be negatively affected. The sad truth is that people who have not been helped to mature emotionally or spiritually, or who are damaged emotionally, are usually the source of such anxious heat. Note that with this form of heat there is no actual combustion happening yet but it is a sign it is very likely. then, learn to recognize someone else’s anxiety and when they are trying to shift it to you or have you take part of it on. while doing that, carefully listen for what part of what has them anxious you might actually have responsibility for, and be ready to state or even confess that. But no more than that! learn to “name” it out loud as in “boy, you said that with a lot of energy behind it!” instead of letting it do it’s manipulative work on you. Ask questions about where the anxious energy is coming from in the generator. The heat of anxiety is a systemic issue, and finds fuel to begin it’s slow burn in people who are not mature, who do not have good boundaries, and in some whose faith is misplaced or otherwise shaky. So increasing emotional maturity, teaching emotional boundary strength and strengthening faith are the systemic solutions needed in the whole “house” to prevent fires.